As usual, I’m so behind on my internship rotation recaps. I know I’ve been finished with my internship for a couple of weeks now, but I wanted to write a quick recap of my last rotation since I recapped all of the others…and because I loved it so much! I spent final four weeks of my internship at the Central Ohio Diabetes Association. My preceptor Jenny was amazing. She wears a lot of hats at CODA, including teaching some of their Diabetes Self Management Education Classes and coordinating everything for the summer camp they run for kids with diabetes. My internship director actually set this rotation up just for me because she knew about my blog and my love for social media and CODA was looking for some help in that area. It seriously couldn’t have been a more perfect last rotation. I was able to use my social media skills to do things like set up a Pinterest account for them and also do some creative projects that I came up with on my own. Attended several webinars about diabetes management. Attended multiple Diabetes Self Management Education classes taught by various educators. Attended a meeting with a Molina rep regarding partnerships for community health education. Created a Pinterest account for CODA with multiple boards for various topics like recipes, diabetes education, etc. Met with multiple CODA employees to discuss social media strategies and ways to increase social media presence. 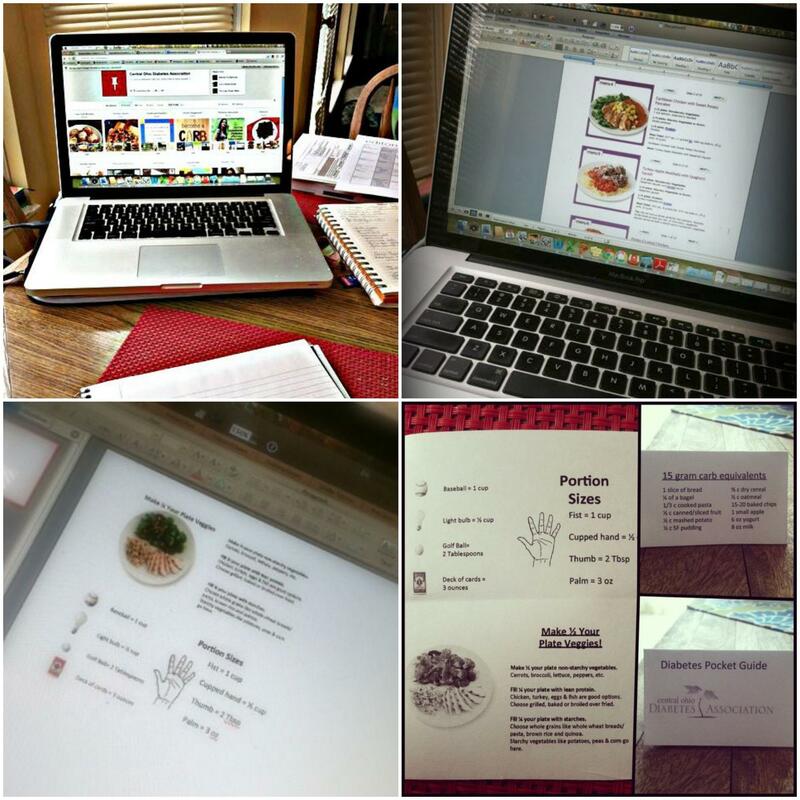 Created a printable resource for CODA clients with recipe ideas based on My Plate. Opened, sorted, organized and reviewed Camp Hamwi applications. Overall, it was a great experience and a great chance for me to see some of the things that a community RD does. It was also a great example of how awesome my internship was overall. They really worked with you to find rotations and placements that fit your interests. And now it’s back to studying! If all goes according to plan, I’ll be an RD by the end of the month! Hey, I know Jennie too! She hired me like 5 years ago to work at her diabetes camp called Camp Hamwi. Small world! really?! such a small world!! That sounds like such a fun last rotation! Good luck studying for the RD exam! That was definitely a stressful time; Inman’s study manual rarely left my hands that whole time. Haha. You’ll do great though! You are fantastically freakin’ awesome. 😀 It’s so cool to see you flex your creativity muscles AND helping others, either on organizational level or person-to-person, right now already and potentially much MORE in the near future ONCE you become a RD officially! I can’t wait to see what you’re capable of doing! Sounds like it was a really great experience! Internships are so awesome because you’re out of the classroom and in the real world – right now in my own field I kind of can’t wait to get my head out of the books and be dealing with patients. yes! being out in the field is the best learning experience! I bet it was a really amazing experience 🙂 good luck with your studies! I’m actually going back to school to be a nurse so I can become a diabetes educator. Is diabetes something you’re planning on continuing to work in or was this just for an internship? i’m not sure yet. it’s an interest of mine…so i’d love to incorporate it into future work!